On occasion of the 138th birthday of comrade Stalin – the 4th Classic of Marxism-Leninism – we, Stalinists-Hoxhaists send militant greetings to all our comrades around the world. We are sure that the Stalinist spirit will lead us to many victories in the coming year 2018! According to the decision of the Comintern (SH), the 100th anniversary of the Socialist Great October Revolution was at the center of our party activities in 2017. 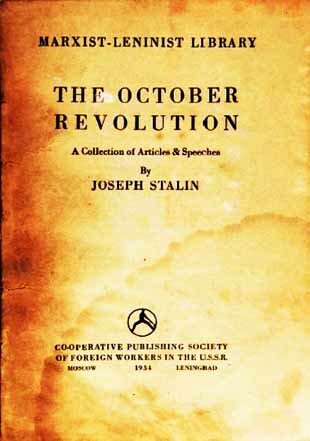 On the occasion of the 138th birthday we want to honor Stalin's creative period, namely immediately after the October Revolution. In the first few days after the victory of the revolution, the counterrevolution made every effort to overthrow the newly formed Soviet power. 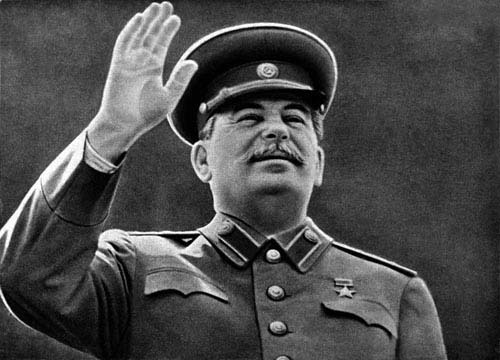 Above all, it is thanks to the great Stalin that all these counterrevolutionary uprisings were victoriously defeated. The Comintern (SH) will also learn from this important period of struggle of Comrade Stalin, and conscientiously prepare for the expected counterrevolutionary uprisings after the world proletariat has conquered power. The period of struggle against the counter-revolutionary uprisings is still one of the period of the October Revolution, which spread in a triumphal procession between October 1917 and January-February 1918, to the very last village. If we define the period of the world socialist revolution, then this is not just the decisive phase of the armed takeover of political power. The world socialist revolution is completely victorious when it has spread to the last corner of the globe. In order to assert and consolidate Soviet power, under the leadership of Lenin and Stalin, the old state apparatus had to be smashed and the new Soviet state built up. The resistance of the bourgeoisie was not limited to armed insurrections, but also took place in the form of sabotage work within the old and new state. It should be remembered that it was, above all, the Social Revolutionaries and Mensheviks who organized this sabotage. Added to this was the resistance of the traitors in the own Bolshevik party. Stalin organized the fight against the counter-revolution, and the All-Russian Extraordinary Commission (Cheka) with Felix Dzierzynski at the head was created in this period. After all, it was imperative to prevent the imperialist powers from nipping the October Revolution in the bud. Thus, not only the Red Army was formed, but also canceled all government debt at foreign countries. All these tasks were not automatically implemented directly by the act of seizure of power. For this it took some time. Stalin said that all these measures had been carried out in the course of a few months from the end of 1917 to the middle of 1918. This will not be different after the world socialist revolution, yes, to cope with these problems will take even a little bit longer time because of wider global scale. The bourgeois parties had to be dissolved as well, including their organizational structures such as the dissolution of their press apparatus. Furthermore, after the nationalization of the soil, large-scale industry also had to be expropriated. Lenin and Stalin based themselves on the teachings of Marx and Engels that the victorious proletariat can not wrest the factories from the capitalists at one go, but only piece by piece. We must not forget the application of all these lessons after the victory of the world socialist revolution. As long as Russia was still at war with Germany, the victory of the October Revolution was not yet certain. Any continuation of the war would have meant the defeat of the October Revolution. The truce was signed on 5 December 1917. It was a great victory over the counterrevolutionaries, the Mensheviks, the Social Revolutionaries, and their allies, Trotsky and Bukharin as his henchmen. Together with Radek and Pyatakov, the anti-Party group of so-called "leftist" Communists fought a furious struggle against Lenin and Stalin to continue the war and strangle the October Revolution. Stalin had to fight hard, and finally, at its 7th Party Congress in March 1918, the party backed Lenin, Stalin and Sverdlov. In the period of the seizure of power it was necessary to attack fearlessly and resolutely, while immediately thereafter, thus in the period of the Brest peace - when the opposing forces were superior - the forces of the October Revolution had to orderly retreat. And, with they renewed vigor, they prepared a new attack against the enemies. With the breathing space, the October Revolution could be consolidated and the construction of socialism could be tackled. All these are important teachings must accordingly be heeded also after the victory of the world socialist revolution. Stalin leads us on our revolutionary way. 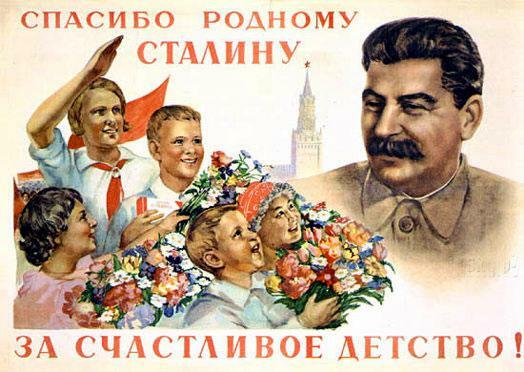 Learning from Stalin - that means learning to prevail! Our beloved comrade Stalin, this greatest master of the revolution beside Lenin, is immortal. He will live forever on hearts and minds of all oppressed and exploited classes, of all authentic communists. Bourgeois-capitalist lies and calumnies will never erase comrade Stalin's glorious legacy. Comrade Stalin's revolutionary genius enlightens our red path. Long live the 138th anniversary of comrade Stalin! 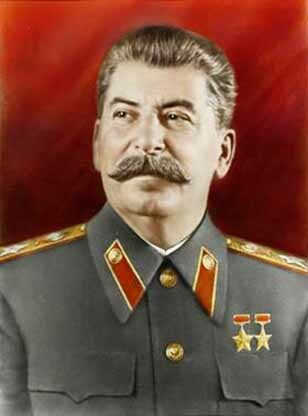 On his 137th birthday we swear that we will defend comrade Stalin’s immortal legacy with our lives! To defend comrade Stalin means indivisibly and inevitably to defend all the other 4 Classics of Marxism-Leninism! V. I. Lenin and J. V. Stalin direct the Second All-Russian Congress of Soviets of Workers' and Soldiers' Deputies. The Second Congress of Soviets elects J. V. Stalin a member of the All-Russian Central Executive Committee (A.R.C.E.C.) and appoints him People's Commissar for the Affairs of Nationalities. V. I. Lenin and J. V. Stalin visit the headquarters of the Petrograd Military Area and together with military experts work out a plan of operations for routing the Kerensky-Krasnov forces. V. I. Lenin and J. V. Stalin sign the order of the Council of People's Commissars banning the publication of bourgeois newspapers. At a meeting of the Revolutionary Military Committee, J. V. Stalin reports on the situation at the front. V. I. Lenin and J. V. Stalin sign the "Declaration of Rights of the Peoples of Russia," drafted by J. V. Stalin. J. V. Stalin speaks in the discussion at a conference of representatives of political parties, the Putilov workers and the Central Executive Committee of the All-Russian Railwaymen's Union (Vikzhel). J. V. Stalin speaks at a meeting of the A.R.C.E.C. on the formation of an "All-Socialist Government." V. I. Lenin and J. V. Stalin sign an order dismissing General Dukhonin from the post of Supreme Commander. J. V. Stalin addresses a Congress of the Finnish Social-Democratic Labour Party in Helsingfors. 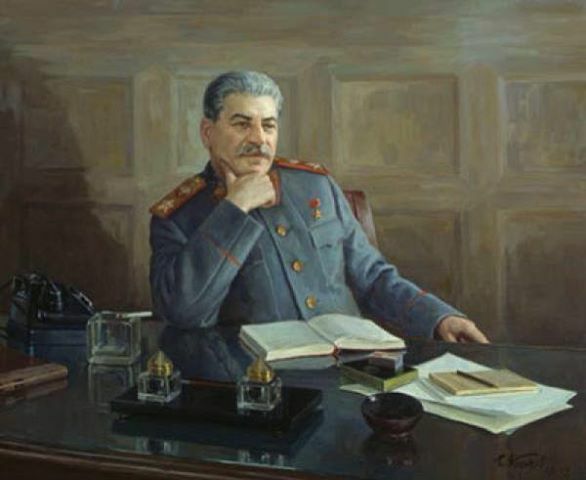 At a meeting of the Council of People's Commissars, J. V. Stalin proposes the restitution of Ukrainian historic treasures to the Ukrainian people. He is appointed a member of a commission to draft a decree instituting revolutionary courts. J. V. Stalin makes reports in the Council of People's Commissars: 1) On trade with Finland, and 2) On the Ukraine and the Rada. 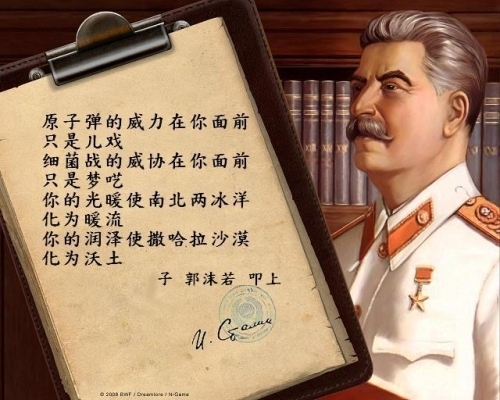 J. V. Stalin submits to the Council of People's Commissars the draft of an appeal by the Soviet Government "To All the Toiling Moslems of Russia and the East." He makes a report to the Council of People's Commissars on the counter-revolutionary activities of the Constituent Assembly Electoral Commission. J. V. Stalin speaks on the banning of counterrevolutionary newspapers at a meeting of the Revolutionary Military Committee. At a meeting of the Council of People's Commissars, J. V. Stalin speaks on the implementation of the financial and economic policy of the socialist state. V. I. Lenin and J. V. Stalin draw up a summarized programme of peace negotiations. V. I. Lenin and J. V. Stalin sign a "Decree for the Arrest of Leaders of the Civil War Against the Revolution," drafted by V. I. Lenin. The Central Committee of the Party sets up a Bureau of the C.C., to which V. I. Lenin, J. V. Stalin and Y. M. Sverdlov are appointed. 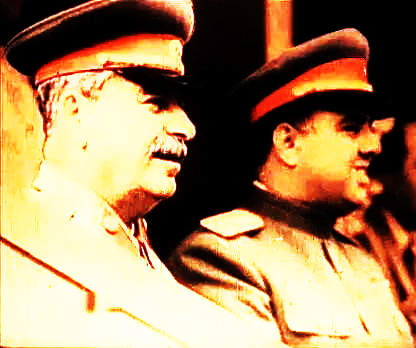 J. V. Stalin discusses with the Chairman of the Executive Committee of the All-Russian Moslem Council the restitution of the "Sacred Koran of Osman" to the Moslems. At a meeting of the Council of People's Commissars, J. V. Stalin makes reports on the Ukraine and on organizing a Congress of Soviets of Byelorussia. Pravda publishes a decree, signed by V. I. Lenin, J. V. Stalin and Y. M. Sverdlov, establishing a Supreme Council of National Economy. J. V. Stalin signs an agreement with representatives of the Byelorussian Regional Committee on joint action for the consolidation of Soviet power in Byelorussia. 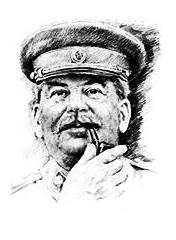 J. V. Stalin writes the article "Reply to Ukrainian Comrades in the Rear and at the Front." At a meeting of the A.R.C.E.C., J. V. Stalin makes a report on relations with the Ukrainian Rada. J. V. Stalin makes reports at a meeting of the Council of People's Commissars on the situation in Orenburg, the Urals, Turkestan and the Caucasus. V. I. Lenin and J. V. Stalin sign a decree recognizing the independence of Finland. J. V. Stalin makes a report at a meeting of the Council of People's Commissars on the military situation in the Orenburg area. At a meeting of the Council of People's Commissars, J. V. Stalin makes a report on the Ukrainian Central Rada. V. I. Lenin and J. V. Stalin attend a meeting of the All-Russian Collegium for Formation of a Red Army. At a meeting of the A.R.C.E.C., J. V. Stalin makes a report on the question of the independence of Finland. 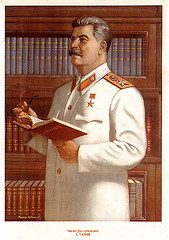 J. V. Stalin is appointed temporary Chairman of the Council of People's Commissars during V. I. Lenin's absence on leave. J. V. Stalin presides at a meeting of the Council of People's Commissars and makes reports on the situation in the Don area, on the Congress of Toiling Cossacks, and on the preparations for an offensive of the revolutionary detachments against Orenburg. A meeting of the Council of People's Commissars under the chairmanship of J. V. Stalin resolves to nationalize the Putilov Works and issues a decree for the confiscation of the Anatra aircraft works in Simferopol and other plants. J. V. Stalin confers with Left-wing delegates of the Don Cossack Assembly and a representative of the 8th Cossack Division. J. V. Stalin's article, "Turkish Armenia," is published in Pravda, No. 227. The same issue of Pravda contains the Decree on "Turkish Armenia," drafted by J. V. Stalin and signed by V. I. Lenin and J. V. Stalin. on the occasion of the 138th anniversary of Comrade Stalin! 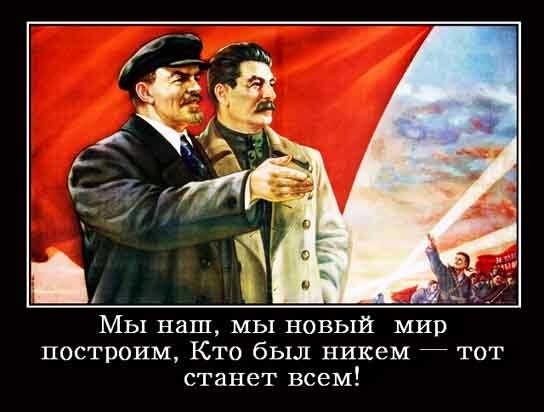 I want to congratulate you and all our comrades for 21 Dec, the birthday of Stalin! 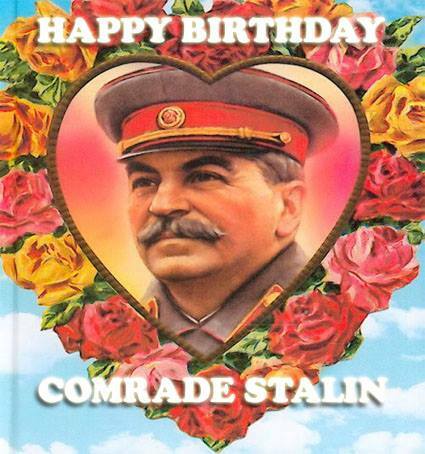 for hteir greetings on occasion of the 138th birthday of comrade Stalin. Поздравлю вас с 138 годовщиной рождения Великого Сталина! Желаю победы Коммунизма во всем мире! Jugoslovenska sekcija Kominterne (SH) pozdravlja sve istinske komuniste povodom godišnjice rođenja J. V. Staljina 21.12.1879. u Gruziji, rodio se Josif Visarionovič Džugašvili, partijski ilegalac, jedan od predvodnika radničke borbe u Rusiji, bliski saradnik Lenjina, jedan od organizatora Velike Oktobarske socijalističke revolucije. Nakon Lenjina, Staljin rukovodi izgradnjom socijalizma, industrijalizacijom, ekonomskom i kulturnom podizanju Sovjetskog Saveza. Pod njegovim rukovodstvom stvorena je snažna Crvena armija, armija koja je pobedila fašizam. Staljinova ličnost je obeležila čitavu epohu. Svojim filozofskim prilogom marksizmu-lenjinizmu, dao je doprinos njegovom daljem razvitku. Veliki Staljin je bio i danas je inspiracija svim komunistima. Njegove misli su ideja vodilja savremenog sveta u borbi protiv fašizma, imperijalizma i kapitalizma, ali i revizionizma i neorevizionizma. IME I DELO VELIKOG STALJINA ŽIVE VEČNO!